Description : Here we have a fantastic dual signed 12oz everlast glove signed by both heavyweight titans in Mike Tyson & Evander Holyfield......I had the most fantastic good fortune to have attended both the Tyson/Holyfield fights, myself being one of the very few lucky fight fans to have been able to get my claws onto the priceless tickets for these two titanic events held at the MGM grand Las Vegas. 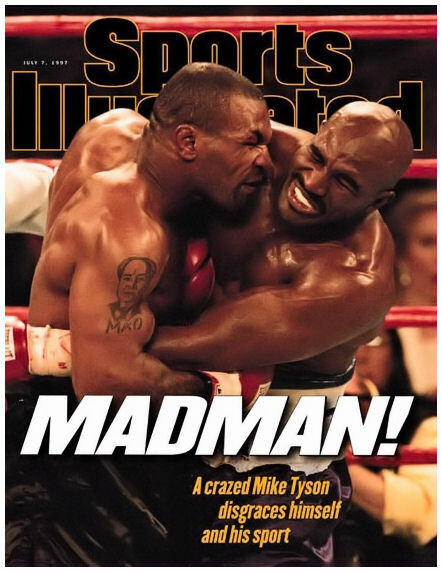 These are nights that I will never ever forget, drama, infamy, violence, crowd disorder in & out of the ring, casino in 'Lockdown' These 2 fights had it all & the 2nd fight " BITE FIGHT" will always be top of any ones list for it's dramatic conclusion & aftermath........ 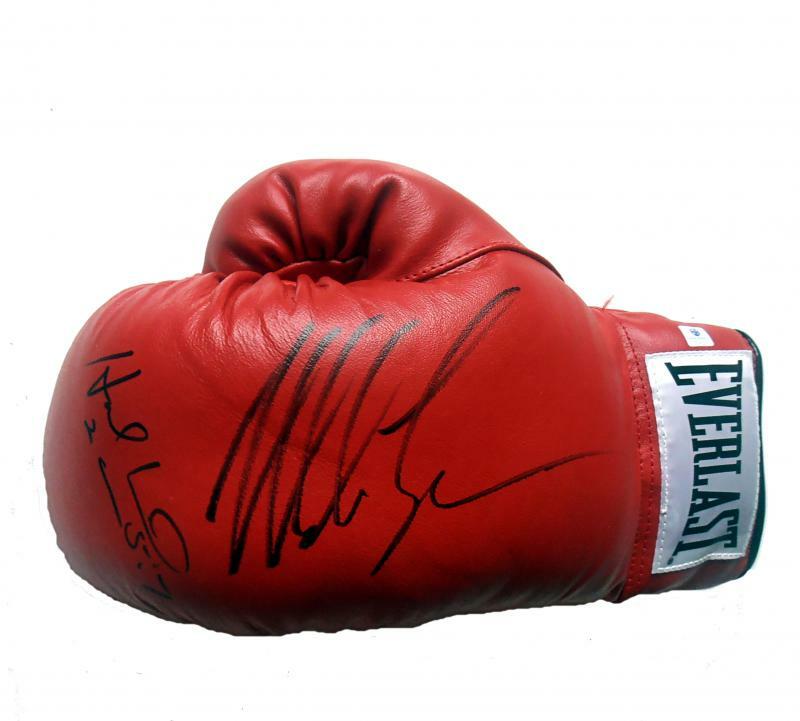 This glove is pure quality with it's huge classy Tyson signiture, Mike Tyson signed this glove first in 2009 & Evander Holyfield sighed this glove in Las Vegas in 2010. 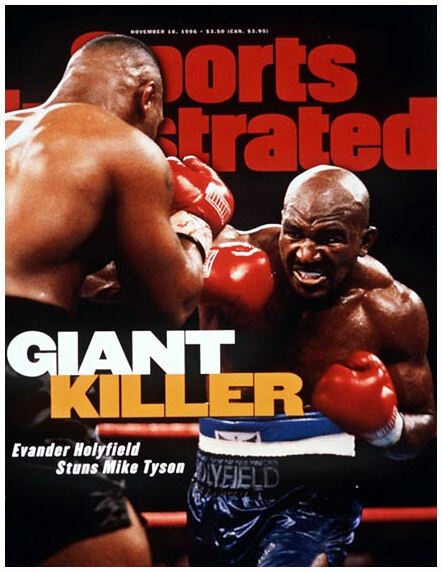 It has always been difficult to get Evander to sign anything, he's as bad as Bernard Hopkins in that respect. But ever since Holyfield got into dire financial straights he now consents to do the odd sporadic private signing session. This has really pissed me off over the years, when boxing superstars refuse to sign anything for the fans & collectors who made them the rich men they are, all under the loopy idea that they think they are being ripped off! It's collectors & dealers who are the conduit to the fans! It's good to see at last that some have got off their high horse & started to interact with the very people who made them what they are.....Rant over!.......Anyway, this dual signed glove is a must have for the discerning boxing memorabilia collector.......This glove comes with the COA from Global Authentics along with a lifetime and beyond guarantee of authenticity from KOfightposters.com.